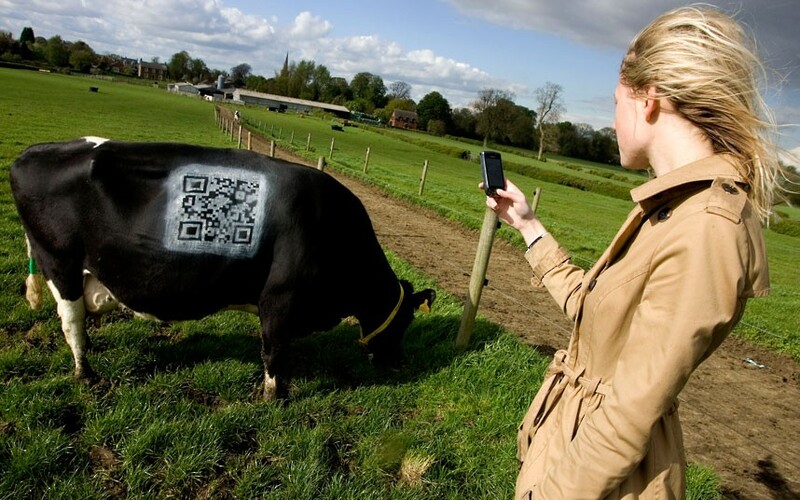 A dairy farm has painted QR codes onto their cows. People passing Southfields farm in Somerby, Leicestershire, England can scan the QR code using an app on a smartphone and get quick access to a website which contains information about the farm’s 100-strong herd of dairy cows. The farm is testing the idea out on their cow, Lady Shamrock, and scanners will be instantly directed to http://www.thisisdairyfarming.com to find out more about her. Personally, I’ve always found the use of QR codes in outdoor venues (subway, bus shelter, cow, etc) to be a better application than in print.